Great product properly packaged with speedy delivery! 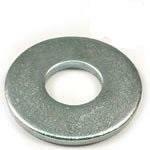 Looking for a different Beveled Washer F436-1 Made in USA product? Have questions or need more information about our 'Beveled Washer F436-1 Zinc Plated Made in USA', please contact us?